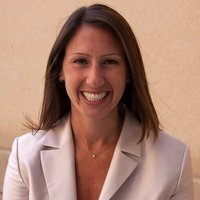 SANTA BARBARA, Calif. – Valle Verde announces Melissa Beth Honig as its new executive director. In her position, Honig will oversee day-to-day operations of the continuing care retirement community, including residential living, dining, health services and life enrichment programs. Honig has more than 15 years of experience working with older adults in a variety of capacities. She’s worked as an admissions coordinator and move-in coordinator at a number of continuing care retirement communities, and as a laughter yoga leader for adults with Alzheimer’s. Honig is a licensed nursing home administrator and worked with The Green House Project ®, a program that transformed long-term care nationally. Prior to joining the Valle Verde team, she worked as the vice president of clinical services for ABHOW (American Baptist Homes of the West), the nonprofit senior living organization that owns and manages Valle Verde. Honig is an honors graduate of James Madison University, in Harrisonburg, Virginia, where she earned a Bachelor of Science degree in health services administration. She also holds a Master of Health Services Administration degree in management and leadership from The George Washington University in Washington D.C. This entry was posted in aging, aging services, LeadingAge and tagged aging services, Valle Verde. Bookmark the permalink.